I’m good at getting dirty. I don’t mind it from time to time, and given a specific occasion it may even be mandatory. 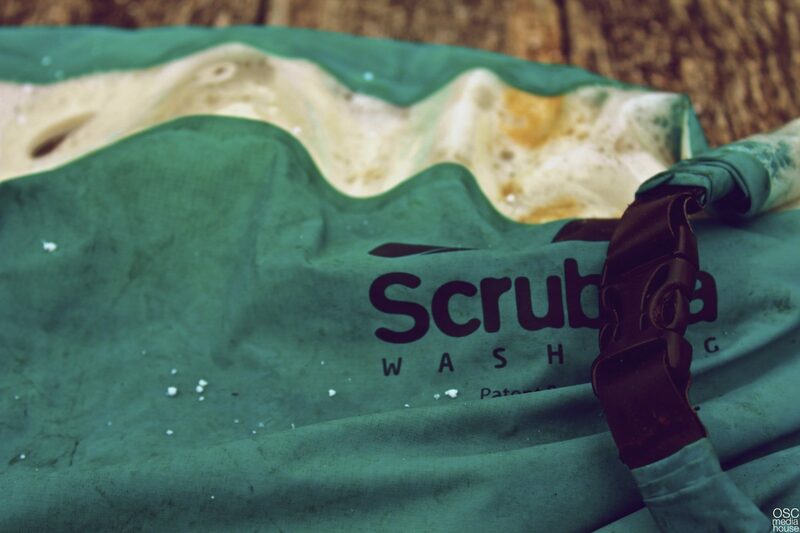 The Scrubba Washbag is a strange product, one that requires the user be good and dirty beforehand. I had a canoe trip planned with a gaggle of friends, and after studying the weather forecast a few times, it was made clear that the Bruce didn’t want us paddling very much. We decided to go anyway, allowing a morning gaze out the window be our definitive forecast. 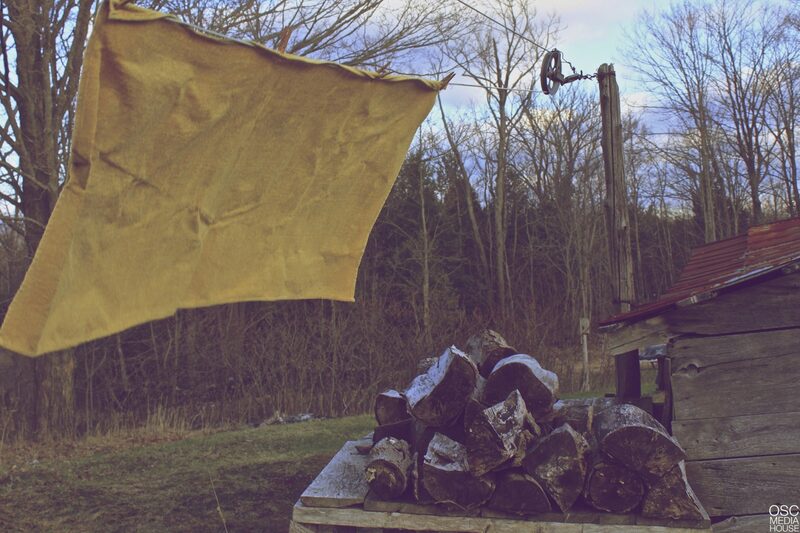 We woke up to howling winds and 2 inches of snow, canoeing was out – but rather than be bitter and stuck inside an old cabin, we decided to give the Scrubba the test of a lifetime; call it up from the farm team. The internet marketing makes it look easy, but we felt as though the Scrubba could be used for more than the odd juice spill, or when the mustard tiger pounces on you at a BBQ. 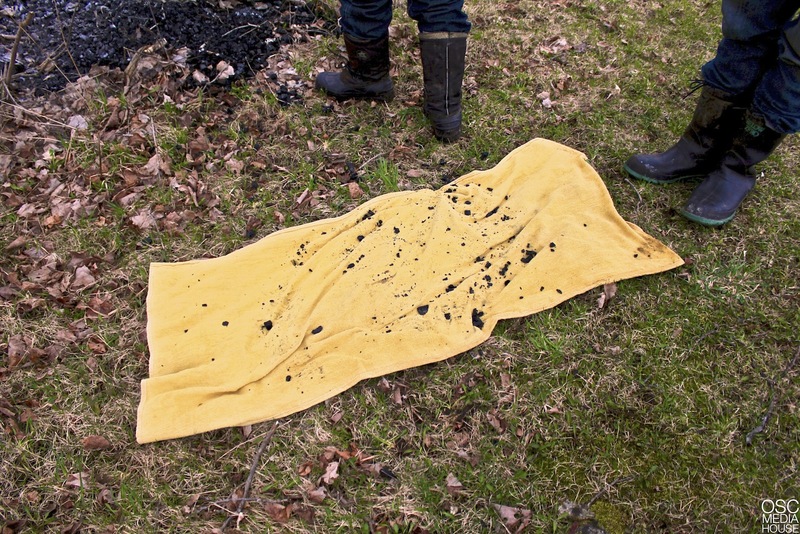 STEP 1: Find a clean(ish) towel and ruin with ash and charcoal. 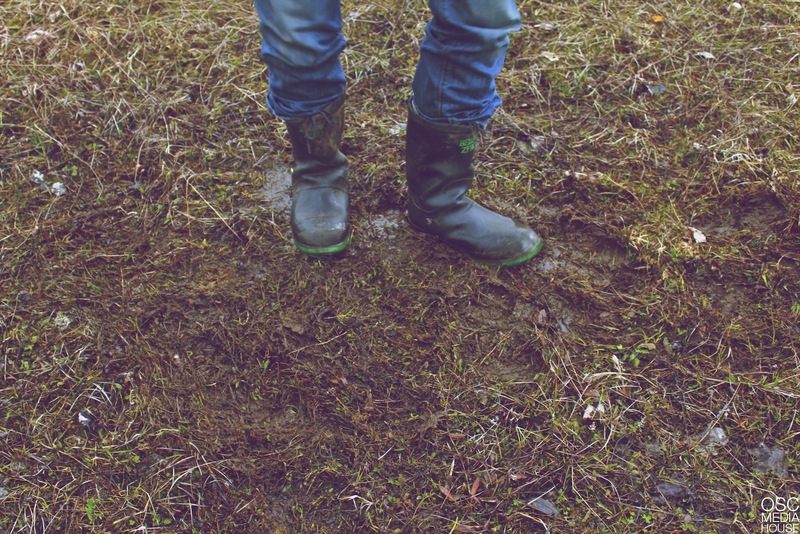 Stomp on towel with filthy Wellies. STEP 3: Place towel in mudpit. We filled the Scrubba up with water, some dish soap and let the excess air out. The water turned a mucky brown, battling the soap for territorial rights and we confided in each other that we may have set our experiment up for failure – it was just too dirty. We thought about throwing out the towel and deleting the photos. Brown turned to black, as the coal was massaged out. We gave it a generous rinse cycle, and the results blew us away. The towel was cleaner than it had been in the first place, as a few old stains had disappeared as well. We were forced to accept defeat. 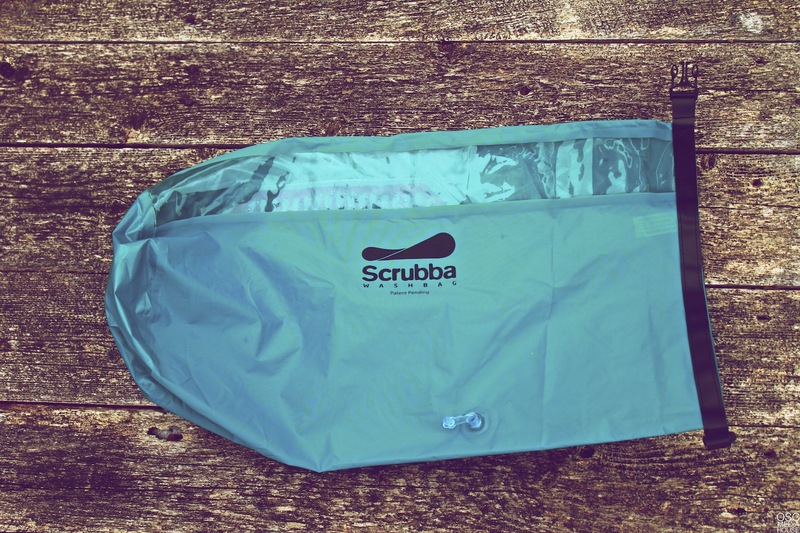 I had initially wanted to prove that the Scrubba was a wishy-washy novelty item, meant for clean-freaks and organized campers – two things I’m not. The towel floated in the breeze, showcasing its cleanliness like a stately, dignified flag. The Scrubba Washbag is legit and a half.